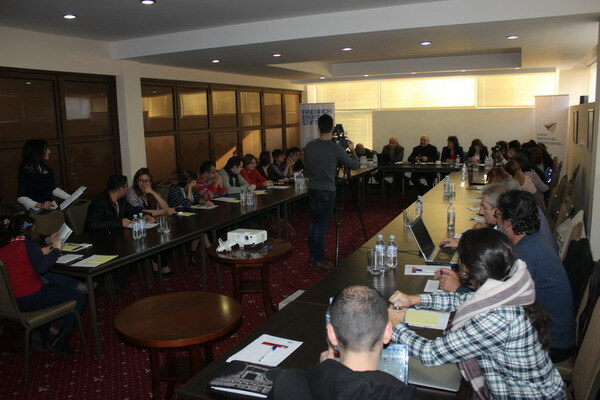 Committee to Protect Freedom of Expression, with the assistance of Friedrich Ebert Foundation, held a conference entitled “Current Situation of Armenian Media and Prospects for Their Development” on November 28-29 in Tsaghkadzor. It was the summary of the seven round-table meetings organized by CPFE this year. Attending the conference were journalists of broadcast, print and online media from Yerevan and marzes, media experts, human rights advocates. CPFE Chairman Ashot Melikyan and the head of Friedrich Ebert Foundation Naira Gevorgyan welcomed them. The participants discussed several issues of high importance to the journalistic community. In his presentation, the president of Yerevan Press Club Boris Navasardyan dwelt on the main challenges to the activities of the mass media in Armenia and the opportunities for getting over them. In particular, the president of YPC made an overview of the activities of the TV channels during the campaign of the amendments to the Constitution, underlining that their main focus was on providing equal opportunities for the six parliamentary forces and the other possible stakeholders (civil initiatives, independent experts etc) were ignored. 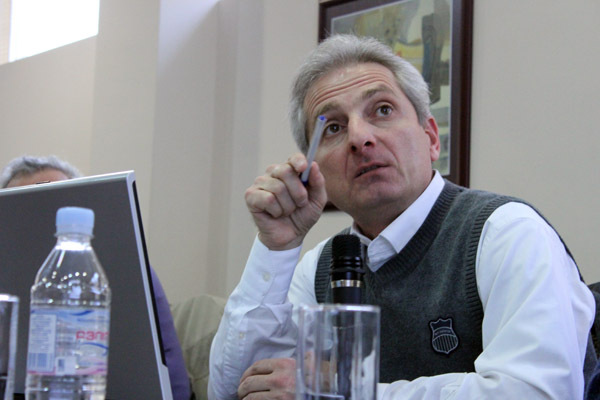 Boris Navasardyan also dwelt on the transition to digital broadcasting, the risk that some regional TV channels may have to stop their broadcasting, limited independence of the media due to insufficient financial resources, the influence of the ruling force on the media, the issues of transforming the media to propaganda tools and thereby influencing the shaping of public opinion. Ara Ghazaryan, expert on the European Convention of Human Rights, made a presentation on the legal framework regulating the activities of the media, developments of self-regulation and prospects thereof. The lawyer emphasized that after the decriminalization of insult and defamation a serious progress has been observed in this sphere. He also dwelt on the vicious practice of unlawful activities of the online media. According to him, the online media do not publish their publisher company details but continue to spread news, often through illicit practice. “If a website exercises the right to make news, it must also assume duties,” the speaker said. As a serious issue, Ara Ghazaryan listed non-application of Article 164 of the Criminal Code (prescribes criminal responsibility for hindering the lawful professional activities of journalists). According to the lawyer, judges also confess that they receive almost no cases under this article. “Meanwhile, CPFE has reported innumerable cases for years. It turns out that there are cases but there are no reactions. In other words, the tendency is noticed that hindering a journalist’s work does not get due response,” Ara Ghazaryan said, adding that it is possible to apply to the UN Human Rights Committee and the European Court of Human Rights based on CPFE data. In her speech Narine Avetisyan, editor-in-chief of Lori TV Channel of Vanadzor, dwelt on the transition to digital broadcasting and the challenges the regional TV channels will face as a result of it. She noted that the existing law does not create favorable conditions for local broadcasters, partners do not want to advertise on these channels, and as a result these TV companies are facing serious risks. 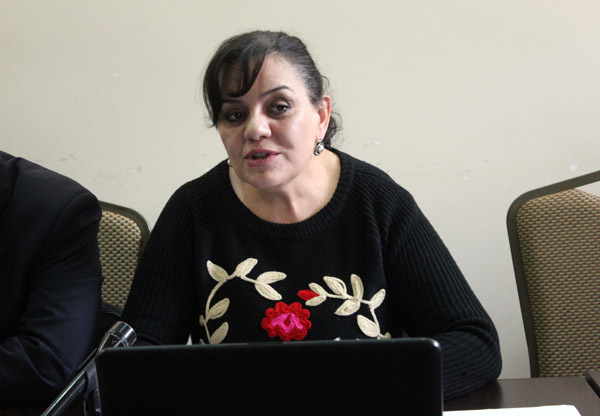 Narine Avetisyan said it is necessary to amend the Law on Television and Radio based on the proposal of three journalistic organizations (CPFE, YPC, Media Initiatives Center). “It is necessary to review the rules of issuance of license, the existing rules do not suppose liberalization and competition,” the speaker said. 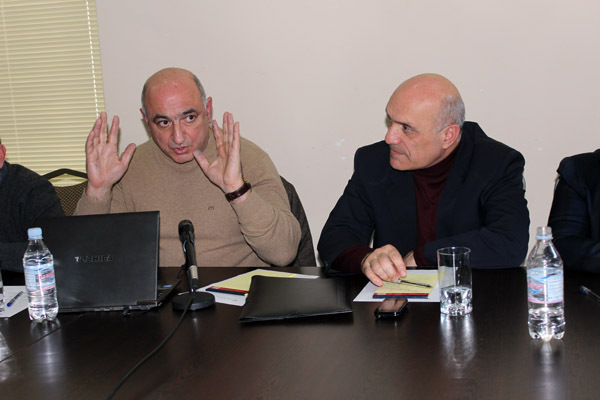 CPFE chair Ashot Melikyan’s presentation was about the issue of protection of the rights of the media and journalists after the 23 June 2015 events on Baghramyan Avenue. CPFE continues to follow the investigation of these cases and is sending queries to the government agencies on a regular basis. “Our queries echo the history of development of epistolary genre in the NGO-law enforcement agency interaction. At first, the Special Investigative Service did not want to provide any information. 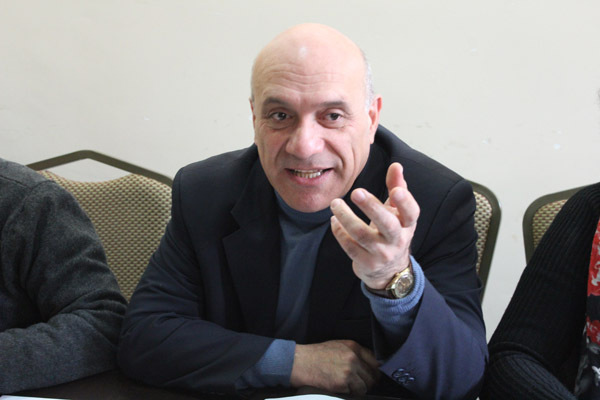 However, four letters later, upon the fifth letter the SIS behaved in a way that is untypical of it and provided some data,” Ashot Melikyan said. He informed that 4 of the 24 media workers affected by the June 23 events have not been invited for an interview. The CPFE chair also said that had there been political will, the case would have been revealed, and those guilty would have been held responsible. “But we did not have great expectations from the Armenian law enforcement agencies, of course. Those who used physical violence against reporters, as a rule, were not held responsible in the previous years and will not be held responsible now. One way or another, the committee will continue to struggle. Having gone through all the levels of the national courts, we will apply to the European Court,” Melikyan said. During the two-day conference interesting discussions followed each thematic presentation.